Antrim County was named after the "County of Antrim" in Ireland, and the name Bellaire was derived from an Irish term meaning clear or fresh air. Rolling hills, forests, green pastures, lakes, creeks, streams, hiking paths, walking paths, award-winning bike paths, and fresh air! Antrim County is known for rural living and outdoor recreation. 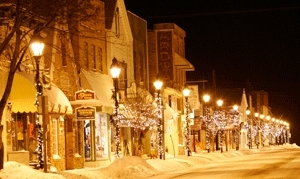 Bellaire, Michigan, boasts all things good! Located along the Chain of Lakes, Bellaire offers fishing, boating, swimming, canoeing, kayaking, water skiing, snow skiing, down hill skiing, cross-co County. Centrally located, Bellaire is within close proximity of Traverse City, Charlevoix, Petoskey and Harbor Springs.unty skiing, award winning bike and hiking trails, and excellent hunting! Bellaire is home to several champion golf courses and close to many other golf courses in Northern Lower Michigan. In addition, Bellaire is home to Short's Brewery, and Shanty Creek Resorts. Both Michigan landmarks! Several other bars, restaurants and quaint shops makes Bellaire the place to be! Bellaire is the County Seat of Antrim. Bellaire hosts the annual Rubber Ducky Festival, Harvest Festival, and several music events as well as bike races, running competitions, kayak races, and the ever-popular "Paddle Antrim" annual event. Short's Brewery hosts their annual anniversary party in April of each year, closing off a block of downtown Bellaire for the festivities. "Light Up The Night" is a kick-off celebration into the Christmas Holiday Season, with a soup competition and Christmas parade of lights. Shanty Creek Resorts offers free shuttle service to and from Bellaire from the resort. Bellaire is home to Bellaire Farmily Health Clinic and is within a short drive of Munson Health Center in Charlevoix, Munson Hospital in Traverse City, and Kalkaska Memorial Hospital in Kalkaska. Jan 12.3 F° 20.6 F° 28.8 F° 2.1 "
Feb 11.5 F° 21.8 F° 32.0 F° 1.2 "
Mar 19.6 F° 30.6 F° 41.6 F° 1.6 "
Apr 30.4 F° 42.7 F° 55.0 F° 2.4 "
May 40.1 F° 54.7 F° 69.3 F° 2.6 "
Jun 48.8 F° 63.1 F° 77.4 F° 2.8 "
Jul 54.2 F° 67.9 F° 81.6 F° 3.0 "
Aug 52.9 F° 66.0 F° 79.2 F° 3.6 "
Sep 45.9 F° 58.7 F° 71.5 F° 4.0 "
Oct 37.1 F° 48.6 F° 60.1 F° 3.6 "
Nov 28.5 F° 36.8 F° 45.1 F° 2.9 "
Dec 19.3 F° 26.4 F° 33.5 F° 2.4 "
Spring temperatures are cold with averages in the low 40's and highs in the mid 50's. Nights are cold with lows in the low 30's. Summer temperatures are mild with averages in the mid 60's and highs in the upper 70's. Nights are cool with lows in the low 50's. Fall temperatures are cold with averages in the upper 40's and highs in the upper 50's. Nights are cold with lows in the upper 30's. Winter temperatures are cold with averages in the low 20's and highs in the low 30's. Nights are cold with lows in the mid 10's. 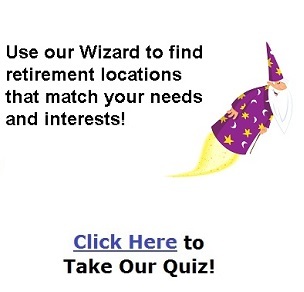 Part time Senior jobs are readily available. Bellaire hosts several non-profit organizations that are always willing to accept new volunteers.